Been wondering about your purpose in life? Wonder no longer. Because clearly, you were put on this earth to name a fine baby anteater. 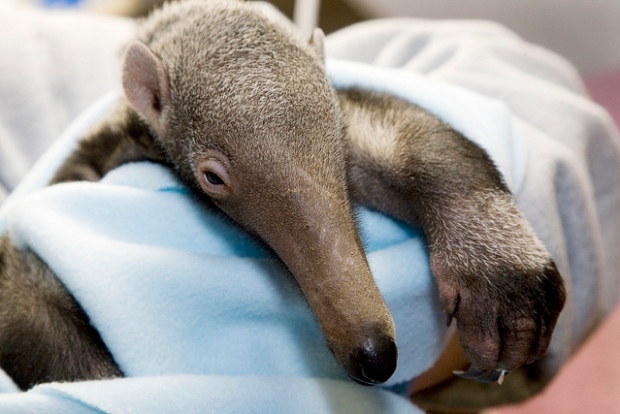 The National Zoo is asking for name suggestions for its baby boy anteater -- the same little scamp who crawled away from his mom a few hours after his birth, to spend a very chilly night alone before keepers found him and nursed him back to health. You can vote for your favorite name for the intrepid little dude online, from a list provided by keepers and volunteers. "The top three vote-getters will move to round two, and in a twist on the traditional voting format, Zoo keepers will allow the anteater's mother, Maripi, to choose the winning name of her pup," says the zoo's website. The options are Pablo, Termito, Demetrio, Fausto and Valerio. 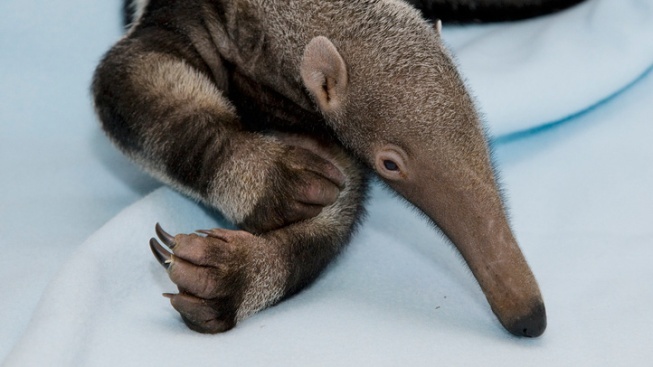 Hey, if an octopus can select World Cup match winners, an anteater can pick her baby's name, right? Here's how it'll happen: Each of the three names will be paired with a different enrichment object in the anteater yard. Maripi will go outside, and whichever object/name duo she goes to first will become her baby's new name.